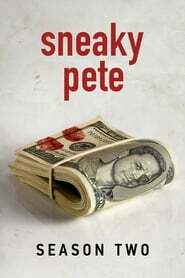 After Marius’ “Roosevelt Buffalo” plan works too well, the heist’s fate is left in Pete’s hands. Carly and Audrey investigate Marius and Maggie’s motives for returning to the family. Julia enlists the aid of Otto, Sam, and – much to her chagrin – Lance in protecting Valerie from Colin. Taylor takes the final steps to frame the hitman for Winslow’s death, and hopefully save Audrey.